NEW YORK, New York, May 22, 2012 (ENS) – Oceans cover about 72 percent of Earth’s surface area and there are an estimated 250,000 marine species. “Yet, despite its importance, marine biodiversity has not fared well at human hands,” UN Secretary-General Ban Ki-moon said today in his message to mark the International Day for Biological Diversity. More than half of global fisheries are exhausted and a further third depleted, warned the secretary-general. Between 30 and 35 percent of critical marine environments, such as seagrasses, mangroves and coral reefs, have been destroyed. Plastic debris continues to kill marine life, and polluted runoff from land-based activities is deadening vast areas of coastal waters, leaving these dead zones without oxygen. The UN General Assembly proclaimed May 22 as the International Day for Biological Diversity, to increase understanding and awareness of biodiversity issues. The theme for this year’s observance is marine diversity. Commercial fisheries are the most serious threat facing the world’s seabirds, finds the nonprofit advocacy organization BirdLife International, which says fisheries are responsible for the incidental deaths of hundreds of thousands of seabirds each year. Longliners, trawlers and gillnetters are all to blame. The IUCN Red List Index for birds shows that nearly half of seabird species are known or suspected to be experiencing population declines. 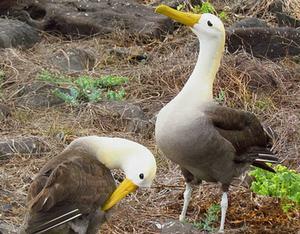 Open ocean bird species are faring particularly badly. Of the 346 known seabird species, 97 species are globally threatened, while 17 are listed as Critically Endangered. “Lately, some progress is being made, particularly with the establishment of large-scale marine reserves and documenting areas of ecological or biological significance in open-ocean and deep-sea habitats,” he said. 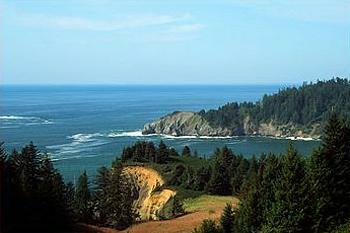 On Monday, Oregon Governor John Kitzhaber made some progress in protecting coastal waters as he signed legislation designating three marine reserves and protected areas off Cape Falcon, Cascade Head, and Cape Perpetua, creating Oregon’s first system of marine reserves. Combined with two new sites designated in January, the law creates an initial network of marine reserves and protected areas off the Oregon coast to provide places for plants and animals to reproduce and thrive. The starting point was Sunday with a maritime festival in Gothenburg, Sweden. Exhibits focused on: maritime research, threats to the sea environment, the effects of climate change, fishing, shipping, the development of harbors, marine national parks, maritime spatial planning, wind and wave energy. Today, there were 26 Blue Growth workshops and an exhibition area, where maritime stakeholders showcased policy initiatives related to seas and oceans. But the International Union for the Conservation of Nature, which maintains the authoritative Red List of Threatened Species, and other marine conservation organizations have warned that bluefin tuna, sea bass and hake are threatened with regional extinction in the Mediterranean Sea because of overfishing and pollution. 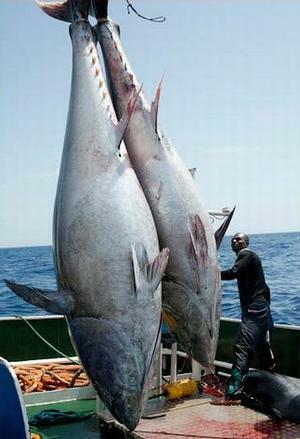 Concern is particularly high over the disappearance of the Atlantic bluefin tuna, Thunnus thynnus, which the IUCN lists as Endangered, saying, “This species has become rare relative to historical levels because of massive overfishing.” More than 40 species of marine fish could disappear from the Mediterranean, including many rays and sharks, warns the IUCN, . Secretary-general of the Ramsar Convention on Wetlands, Anada Tiéga, reminded the world of the direct impact of human activities on ocean health. 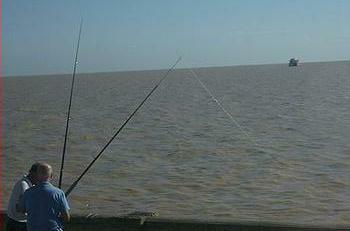 “An estimated 60 percent of the world’s human population live on or close to the coast, which is directly or indirectly causing many stresses affecting sustainability in the coastal zone, such as loss of habitat, increased pollution, accelerated sea-level rise, and interruption of flow of water and sediments,” said Tiéga. “Many of these problems seriously affect coastal wetlands and their capacity to continue to provide vital functions for people and biodiversity in these areas,” Tiéga said. The global conservation organization WWF, as part of the Antarctic Ocean Alliance, today unveiled a new vision for the creation of the world’s largest marine protected area across Antarctic marine habitats. The new report, “Antarctic Ocean Legacy: A Vision for Circumpolar Protection” calls on governments to support increased marine protection for this unique environment. Antarctic waters make up almost 10 percent of the world’s seas and are some of the most intact environments left on Earth. They are inhabited by almost 10,000 diverse species such as penguins, seals and whales, yet they are under increasing pressure from commercial fishing and climate change. 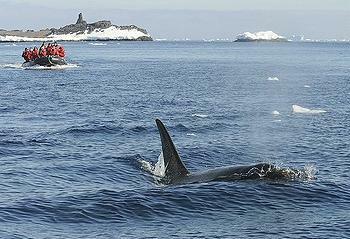 The WWF report says that over 40 percent of the Southern Ocean warrants protection and is calling on the Commission for the Conservation of Antarctic Marine Living Resources, to protect this area now while it remains largely intact. CCAMLR has agreed to create a network of marine protected areas around Antarctica this year and next. Secretary-general Ban said that next month Rio+20, the UN Conference on Sustainable Development in Rio de Janerio, Brazil, will provide an opportunity to safeguard the oceans. “Rio+20 must galvanize action to improve the management and conservation of oceans through initiatives by the United Nations, governments and other partners to curb overfishing, expand marine protected areas and reduce ocean pollution and the impact of climate change,” Ban said.